Poison Oak Poisoning is often the accidental exposure to poison oak leaves or other plant parts usually via physical contact. What is Poison Oak Poisoning? Poison Oak Poisoning may be also referred to as Poison Oak Toxicity or Poisonous Oak. What are the Causes of Poison Oak Poisoning? What are the Signs and Symptoms of Poison Oak Poisoning? The symptoms are usually seen within 1-3 days (and sometimes, after 5 days) following contact with the poison oak plant. The severe phase of skin symptoms is typically between days 4 and 7 of exposure. How is First Aid administered for Poison Oak Poisoning? 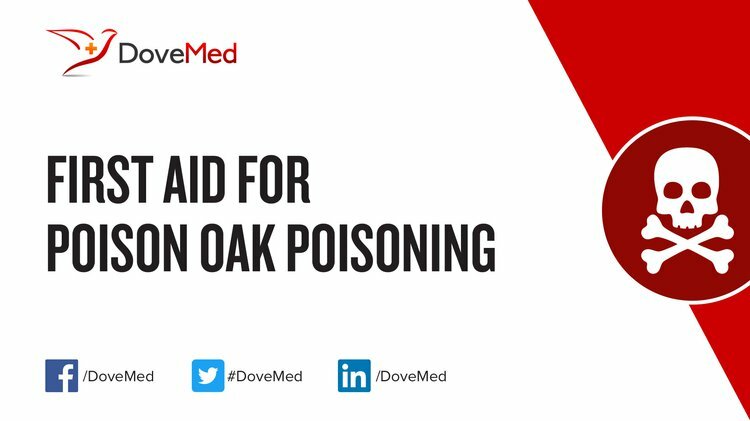 Who should administer First Aid for Poison Oak Poisoning? What is the Prognosis of Poison Oak Poisoning? How can Poison Oak Poisoning be Prevented? Maroyi, A. (2012). Garden Plants in Zimbabwe: Their ethnomedicinal uses and reported toxicity. Ethnobotany Research and Applications, 10, 045-057. Auerbach, P. S. (2013). Field Guide to Wilderness Medicine E-Book. Elsevier Health Sciences. Poppenga, R. H. (2010). Poisonous plants. Molecular, clinical and environmental toxicology, 123-175. Towers, G. N. (2010). Contact hypersensitivity and photodermatitis evoked by Compositae. Toxic Plants, 171-193.